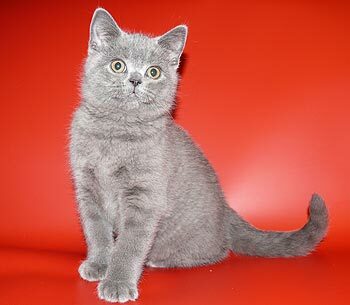 British shorthaired cats. The cattery TinArden*Ru. 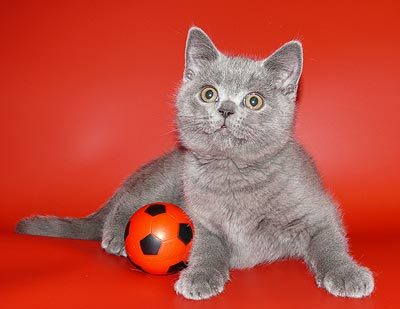 Our alumnus, British Shorthair cat Oddi TinArden (her moniker in new home is MARGOSHA), celebrates 1 year! My congratulations to her owner Natalia Zhukova. This wonderful litter of tender and smart kittens has turned into beautiful British cats and tomcats. March 2 and 3, 2013.Moscow. The festive show "CATSBURG-2013" took place. On December 23, 2012, Moscow. 20 International exhibition of cats "CHRISTMAS SHOW" of ASC. 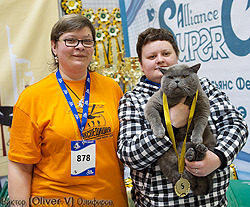 We congratulate Yatsyuk Anna and the British cat Nikolosa on excellent results! 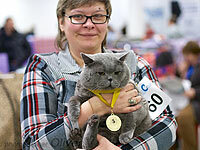 Video of the British short-haired girl of Tinka is added. Summer 2013.